"Isawa Kosori no Kaito grimaced at the letter as she read it again. 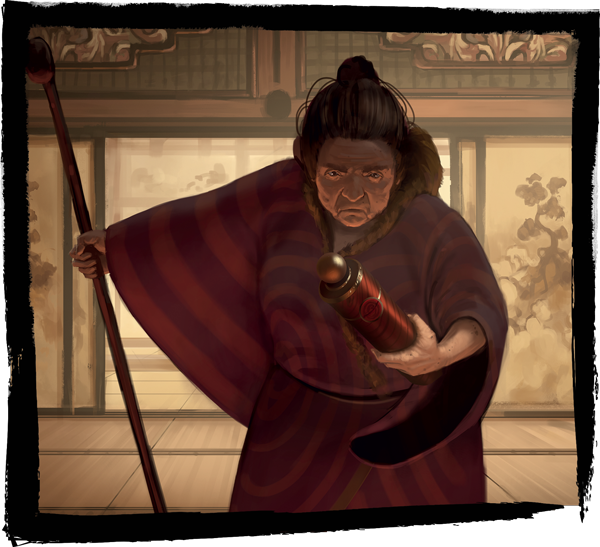 She and the other shrine keepers were to learn as much as they could and keep bystanders safe, but ultimately their instructions were to await the shugenja’s arrival." 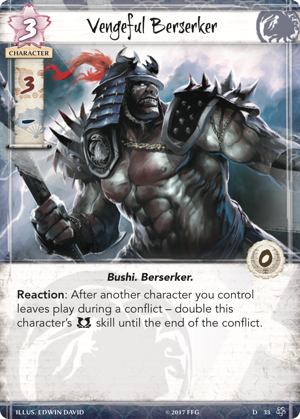 With the release of Underhand of the Emperor, the Scorpion Clan Pack, the metagame for Legend of the Five Rings: The Card Game is about to shift… and right as samurai from all over Rokugan are headed to the 2018 Winter Court World Championships! While Underhand of the Emperor appears as though it may reaffirm the Scorpion Clan’s dominance of the courts, it's also certain to draw an unprecedented measure of scrutiny toward the Scorpion and their secret plans. After a strong year of Organized Play, then, will the Scorpion Clan manage to fend off the challenges they're bound to face—from every other clan—and all at the same time? To ensure that everyone attending the 2018 Winter Court World Championships is aware of these changes—and to offer some insight into the rationale—the developers have written a brief explanation of what has changed, and why. 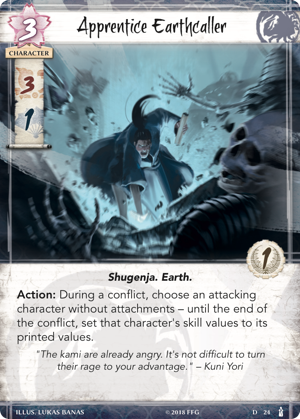 Throughout the gameplay of the Imperial and Elemental Cycles, we discovered in the rules a number of interactions between the rules and card text that operated unintuitively when using the rules as written, so we have altered the rules text slightly to allow for these card interactions to work the way players expect. 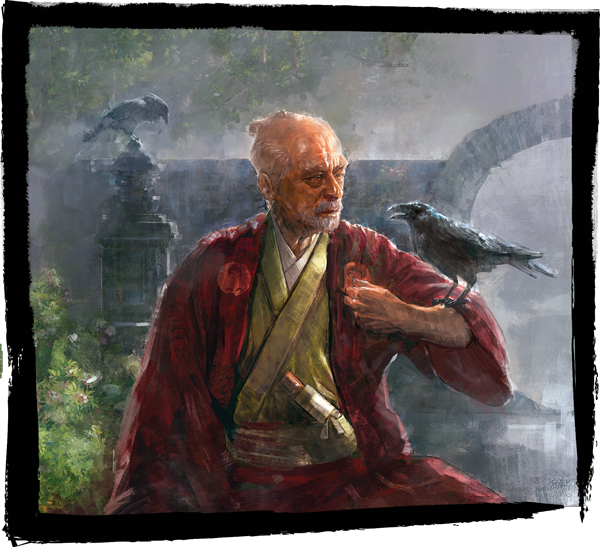 As written, the rules regarding modifiers and the honor dial bid during a duel instructed players to treat the honor bid as a modifier equivalent to any other modifier in the game. This meant that an effect such as the Reaction on Vengeful Berserker (Core Set, 33) could allow a player’s duel bid to become doubled, and it meant that a character whose skills had been set to a particular value—such as by an Apprentice Earthcaller (Tainted Lands, 24)—could not gain any additional bonus from the duel’s honor bid. As not being able to receive a skill bonus from a duel’s honor bid makes for poor gameplay, an exception has been added to the Modifiers section of the rules (page 11) to instruct that a duel’s honor bid modifier is calculated independently of all other modifiers on the character, and even if that character’s skills have been set to a particular value. The rules for unique cards clarify that a player cannot play, put into play, or take control of a unique card if they already own or control a copy of that card. This created a loophole in which a player who owned a unique card of which their opponent had taken control could not retake control of their own card. 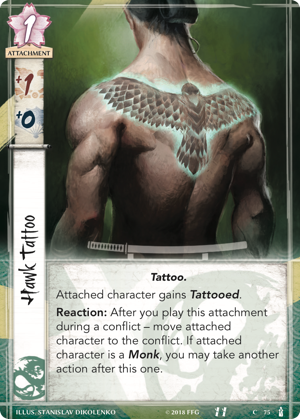 The text for Unique Cards (page 17) has been adjusted to allow a player to take control of a unique card that they own, but do not control. During development, we noted that the ability to attack first granted the first player the advantage of breaking provinces more quickly than their opponent, and a fate was given to the second player to help balance the randomized turn order. However, now that we have a year's worth of Organized Play results, we have found that the fate reward for going second gives the second player a distinct competitive advantage. To address this, we have eliminated the extra fate for going second. You gain the first opportunity to collect fate from rings. You gain the ability to react to the opponent’s first dynasty action. Going second also promotes the ability to play conservatively in the first round to create an explosive second round assault. Meanwhile, more aggressive clans like Lion and Unicorn are still encouraged to go first as it allows them to leverage their new strongholds with maximum effect on the first turn, before the opponent has built up strong defenses. With the loss of the second player fate, we believe the game will be more balanced, and the choice to go first or second in tournaments will become more interesting. The Tournament Regulations are now available for download, as is the Rules Reference (which contains the most recent FAQ). You can find both documents in the Support section of the game's website, as well as on the game's Organized Play page. You'll want to be sure to read up if you're headed to the 2018 Winter Court World Championships. You'll want to perform at your absolute best when you fight your duels in the presence of the Emperor!